We all accept that the planets revolve around the Sun in continuous forward motion. However, astrology views the planets from our place here on planet Earth. From this perspective, it appears as if the planets sometimes slow down and stop. When a planet does this it is known as Station Retrograde. From this point the planet then appears to move backwards for a while. This is known as Retrograde (which is sometimes written as Rx). After a few days, weeks or months of doing this (the slower moving planets spend more time Retrograde than the faster planets), the Retrograde planet slows down and stops again, Stations Direct, after which it moves forwards again, Direct, and gradually gains momentum. When a planet is Retrograde, it is said that the energies and urges the planet represent go inwards, slow down, come up for review, that old ground has to be re-covered and that unnecessary action should be delayed until the Retrograde period is over. The best known Retrograde is that of Mercury, famously symbolizing travel and communication delays, but all the other planets, with the exception of the Sun and Moon, also have Retrograde periods. Mercury Stationed Retrograde (slowed down and stopped) at 6 degrees of Libra on 6th September 2009. Mercury was in Retrograde (moving backwards through the zodiac) from 8th September. It moved backwards to the beginning of Libra and then right back to Virgo, the sign before Libra. It reached 21 degrees of Virgo and then Stationed Direct (slowed down and stopped) on 28th September. On 1st October it started moving forwards again (Direct), back again through the degrees of Virgo and Libra it had passed through while Retrograde. The next Mercury Retrograde starts at the end of December 2009 through to the middle of January. For an explanation of what Mercury Retrograde means, please see the following blogs I wrote about the September 2009 Mercury Retrograde here> and here>. Neptune is one of the slow outer planets. Further out in our solar system it takes a lot longer to revolve around the Sun than Mercury does. While Mercury takes around one year to make one revolution of the Sun, Neptune takes around 164 years, spending about 14 years in each Zodiac sign. It is therefore obvious that Neptune’s Retrogrades last longer than Mercury’s! Here are details of the 2009 Neptune Retrograde: Neptune Stationed Retrograde (slowed down and stopped) at 26 degrees of Aquarius on 28th May 2009. Neptune was in Retrograde (moving backwards through the zodiac) from 30th May through to 4th November 2009, when it Stationed Direct (slowed down and stopped). During its Retrograde period, it moved backwards to 23 degrees of Aquarius. As you can see, Neptune was Retrograde for a lot longer than Mercury (5 months vs. 3-4 weeks) and covered a lot less ground (3 degrees of the zodiac vs. 15 degrees of the zodiac)! On 6th November 2009 Neptune started moving forwards again (Direct) and you can read my review of this Neptune Retrograde period here>. 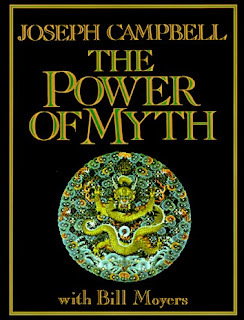 I have been re-reading The Power of Myth the wonderful book based on the 1980's TV Series of the same name, which is basically a conversation between mythologist Joseph Campbell and journalist Bill Moyers. "One thing that comes out in myths is that at the bottom of the abyss comes the voice of salvation. The black moment is when the real message of transformation is going to come. At the darkest moment comes the light." These words speak to me as a reflection of the processes symbolised by Pluto in astrology...a message, ultimately, of hope. On 21st November the Sun starts its yearly gallop through the adventurous, energetic, optimistic sign of Sagittarius. There's a real sense of spirit about Sagittarius, which is not surprising given it's a Fire sign. However, unlike the pioneering 'me first' spirit of Aries and the fiercely loyal but ego-centric 'look at me' fire of Leo, the Sagittarian fire quest is one which takes this sign above and beyond, pushing further onwards and upwards in its search for meaning and its vision of the future. Yes, Sagittarius can seem foolhardy or slapdash or downright irresponsible, but what the rest of us sometimes forget is that Sag always has one foot in the future and one eye on the big picture and this panoramic view means that he very often misses the finer details of what's right in front of him. On the whole this big picture approach tends to work quite well for Sagittarius. After all, somebody must hold the grand future vision for the rest of us. With Jupiter as his ruler, Sagittarius often seems blessed with good luck, but maybe it's just that he simply gets away with things more easily than the rest of us. Perhaps we let him get away with it because we understand that Sag is one of the most generous and forgiving signs and therefore forgive him all the more easily because of that. 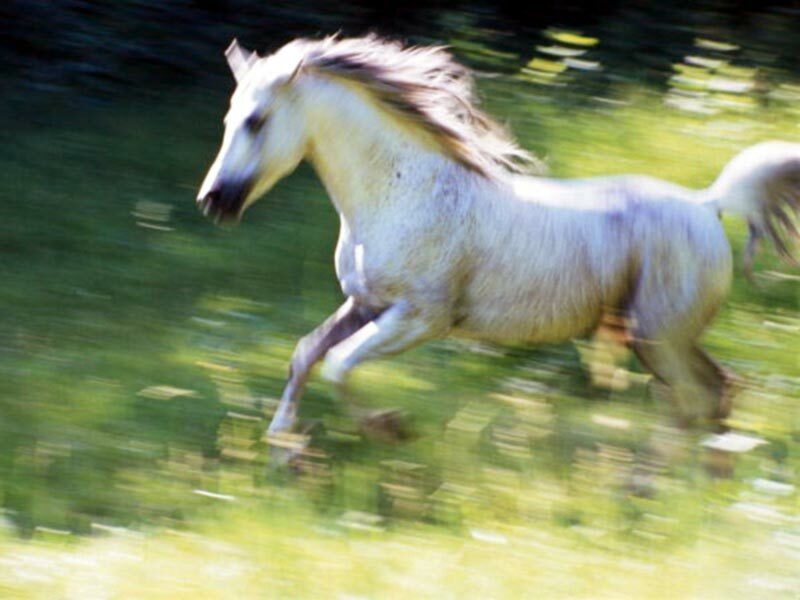 So onwards and upwards we go into the Sun's journey through Sag and as a Sagittarian acquaintance once said to me Never look back, never lose your nerve! I can personally verify that he has made a very fine success of his long life with this philosophy. The New Moon is the darkest time of the lunar cycle, a time when Lady Luna disappears from our sky. Of course this is merely an illusion, she is there we just can’t see her. This reminds me of Scorpio’s ruler Pluto who, in mythology, must wear a helmet of invisibility whenever he surfaces from the Underworld. Unseen he does his work, so that when we finally see the results of his actions, they appear as forced changes and big transformations for which we do not feel suitably prepared. Like Pluto, Scorpio is also a transformer who prefers to operate imperceptibly. Scorpio’s realm is the realm of the emotions, where s/he scours the hidden depths of feelings, often going to places that lesser mortals would fearfully shy away from. When the scorpion finally emerges, it brings with it the deepest and the darkest emotional detritus, offering it up to the light, where it can be cleansed and healed. It is therefore reassuring to see today’s Scorpio New Moon connected by aspect to the Jupiter-Neptune-Chiron Conjunction with its promise of hope and healing. In the detached, fixed sign of Aquarius it symbolizes the healing we receive when we are able to let go of outdated ego attachments. As we begin to let go and heal, as appropriate to our own individual circumstances, we feel compelled to help others along their own healing path. We may feel unsure of our ability to help, but we can no long carry on waiting until we feel balanced enough/experienced enough/old enough/wise enough etc. We need to let go of our fears of inadequacy and understand that our time is now. If we are also able to channel the higher energies of Saturn in Libra and Pluto in Capricorn, we can truly work to balance, restructure and transform our relationship, not just with ourselves and our significant others, but with our wonderful, beautiful world as a whole. This is the space of positive transformation and the space where Scorpio embraces its nobler identity, the soaring eagle, king of birds. While many individual lives will be reflecting the themes of Saturn Square Pluto, described in Saturn-Pluto Part 1, astrologers believe that aspects such as this, between the outer planets, also reflect world events. This branch of astrology, which studies countries, world leaders and economic cycles, is known as World or Mundane Astrology. In Mundane Astrology the way planetary movements are reflected in world events is tracked by studying the bigger cycles of the outer planets, the current Saturn-Pluto Square being just one aspect in a Saturn-Pluto cycle which began with a Conjunction aspect in the early 1980’s. From the Conjunction, Saturn and Pluto have gone on to make every conceivable aspect together along the way. However, I will only look at the Conjunction, Squares and Oppositions of the cycle, firstly to keep things simple and secondly because these aspects mirror the lunar cycle, providing a useful reference point for interpretation. “…[the Conjunction, Square and Opposition] alignments of the Saturn-Pluto cycle coincide with especially challenging historical periods marked by a pervasive quality of intense contraction: eras of international crisis and conflict, empowerment of reactionary forces and totalitarian impulses, organised violence and oppression, all sometimes marked by lasting traumatic effects. An atmosphere of gravity and tension…a widespread sense of epochal closure: “the end of an era”, “the end of innocence”, the destruction of an earlier mode of life that in retrospect may seem to have been marked by widespread indulgence, naiveté, denial, and inflation. Profound transformation was a dominant theme…through contraction, conservative reaction, crisis and termination.” Pg.210. Tarnas goes on to discuss in great depth how these themes have played out throughout history, for example linking the Saturn-Pluto cycle to World War 1 and World War 2. The Conjunction of the current Saturn-Pluto cycle took place between 1982 and 1983, with a wider period of influence spanning 1980 through 1984. This Conjunction marked the end of the previous cycle and the beginning of the new one and like a New Moon, was a seeding time, when the themes that would come to define the current cycle began to emerge. What was planted during this time determined what would blossom and bear fruit later in the cycle. By the early 80’s the Cold War had escalated and when the Soviets went to war in Afghanistan, the Islamic side was covertly supported by the US, a move which of course contributed to the eventual ascendancy of the Taliban. At the same time, the West was supporting Saddam Hussein in the Iraq-Iran war and we were also seeing a rise in state-sponsored terrorism in many parts of the world. This was also the time of the global arms race amidst widespread fear of nuclear apocalypse (membership of CND peaked in 1984) and was the era of Thatcherism and Reaganism. Economically, it was a time when the idea of deregulation, the limitation of government control over market forces, really took hold, leading to the ‘me first’, ‘greed is good’ culture and the rise of the Yuppies, with their stratospheric salaries and bonuses. This period also marked the start of the privatisation of state-run firms in the UK. The First Square of the current Saturn-Pluto cycle occurred in 1993/4, with a period of influence spanning 1992 through 1995. Like a First Quarter Moon, this Square represented a time when the seeds that were sown at the Conjunction had now grown into young plants, but were yet to flower. This was the time of the early warning call, the first crisis. Any bad seeds planted at the start of the cycle, should be weeded out at this point in the cycle. This was the time that the Taliban came into power in Afghanistan and also the time of Osama bin Laden’s first jihad against America and the first attack on the World Trade Center. Politically, these were the years of the Clinton administration, but with a notable move towards political conservatism, with the Republicans taking control of Congress. In the UK, while the Conservatives were still in government, we saw the beginnings of “New Labour” with Tony Blair taking over the leadership of the Labour Party in ’94, moving the Party towards the political ‘Centre’ and distancing it from Labour’s radical socialist roots. Eventually, New Labour dropped their resistance to many of the economic policies implemented under the Conservatives, a move which proved to be a vote winner. The early ‘90s also saw a huge increase in national debt and GDP in the US, as well as the massive growth of the stock market, a direct result of deregulation. A dramatic increase in income inequality also became evident. For the UK, it was also a time of similar growth, but with a notable crisis point, Black Wednesday in 1992, when a disastrous run on the British Pound called into question the credibility of the economic policies of the incumbent Conservative government. The Opposition occurred in 2001-2002, its influence spanning 2000-2004. Like a Full Moon, the Opposition represents a time when what we planted at the start of the cycle comes into full flower. With full awareness of what we have created, we are compelled to react and respond. 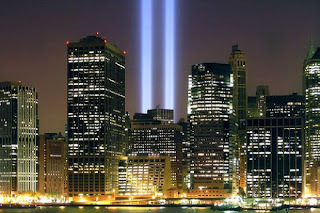 International terrorism blossomed into what we know it as today, marked most clearly by the 2001 attacks on the World Trade Center and the Pentagon and the phenomenon of the suicide bomber. The response of the West was the war on terror, including the invasion of Afghanistan in an attempt to capture Osama bin Laden, destroy al-Qaeda and remove the Taliban regime, a regime it had helped into power during the war with the Soviets. In 2003, a US led coalition invaded Iraq under the premise of fighting terrorism and unearthing weapons of mass destruction. This would eventually lead to the demise of Saddam Hussein, a figure previously supported by the West at the beginning of this Saturn-Pluto cycle. Before the Opposition began, we were in a period of low inflation, high output and low unemployment, a situation directly resulting from the economic conditions of the early ‘80s. Government had assured us that the boom-bust cycles of the past were over for good. The stock market soared, but it became increasingly obvious that the dot-com bubble had to burst eventually and when it did, in 2000, it triggered a dramatic fall in share prices, forcing many companies out of business. The terrorist attacks of 2001 only added to uncertainty over the economy, with many predicting the worldwide recession we are seeing today. The Last Square of the current Saturn-Pluto cycle is occurring now, exacting in 2009/10 with a wider period of influence spanning 2008 through 2011. Like a Last Quarter Moon, the plant has borne fruit and we must now clean up the mess and then begin to prepare the new seeds for future planting. With the Last Square, comes another crisis point. The party is over and we realise that the way things have been done in the past will not work in the future, so we must prepare new structures to carry us forward into the next cycle. Politically, Bush is out and Barack Obama is in. Labour is still in government in the UK, but doing very badly in the polls and is predicted to lose power at the next general election. In Europe as a whole we are seeing a move towards the political right. This part of the cycle also sees us in the midst of a worldwide financial crisis. Those that have been able to benefit from the deregulated economy have become rich, but the majority of people are poorer in real terms. The credit crunch has revealed what we were beginning to suspect, that many individuals and companies and indeed the banks themselves, have been living on credit and now the credit has run out. What we are witnessing is full on recession, the dying embers of the current economic model. UK and US governments now own large stakes in some of the top banks, but despite the unprecedented bail-outs, many small to medium size businesses are finding it nearly impossible to get credit and going out of business, thus forcing unemployment to rise dramatically. New structures are being prepared as governments try to set reforms in motion, including reform of the healthcare system in the US (the cost of healthcare being the single most common factor in personal bankruptcy), reform of the expenses system for politicians in the UK and calls for government intervention to curb the excesses of the bonus culture of the banks and other financial institutions. Much more needs to be done. The next Saturn-Cycle starts with a Conjunction in 2019-2020, but we should start to see its themes emerging from around 2018. Until then, we must take what we have learned and remould our world into a fairer, safer, saner, more sustainable place. The seeds that are falling from the fruit right now need to be carefully sifted and stored to ensure that only the best seeds are planted at the start of the next cycle. This is not just the responsibility of leaders and governments, it is the responsibility of every last one of us. Reference: Cosmos and Psyche, Intimations of a New World View. Richard Tarnas, 2006, Viking. In Saturn-Pluto Part 1 I discuss some of the themes and processes that Saturn-Pluto alignments represent and in Part 3, I discuss Saturn-Pluto alignments from the wider world view, in particular how the current cycle has been reflected in politics, economics and conflict. Here in Part 2, I present some ideas for further reading and other resources that I hope will be informative and useful. Firstly, here’s the link to Saturn-Pluto Part 1 and Part 3 if you haven’t read them already. November 09: Saturn-Uranus-Pluto Quote of the Week. A short piece on a couple of things I picked up from current media which reflect Saturn-Uranus-Pluto themes. November 09: Taurus Full Moon. A brief overview of the current planetary alignments, as seen under the light of the last Full Moon. October 09: Saturn in Libra. A look at Saturn’s move into the sign of Libra in the run-up to its first exact square with Pluto in Capricorn. September 09: Saturn-Uranus-Pluto, The Financial Crisis and Me. The Saturn-Uranus-Pluto alignment explained, how it has been reflected in world economic conditions and a very personal story. September 09: The Saturn-Uranus Oppositions. A piece concentrating on the current series of Saturn-Uranus oppositions, with which Pluto has now aligned to form a T-Square. Melanie Reinhart offers a number of downloadable MP3s on the current Saturn-Pluto themes, which are reasonably priced and worth every penny. The most recent MP3 is a recording of an amazing workshop held in London earlier this month. Donna Cunningham has written a series of articles full of practical advice under the umbrella heading A Pluto Saturn Preparedness Kit, which you can download for free from her blog. Bill Herbst has written reams on the current Saturn, Uranus and Pluto transits. His predictions for the current economic crisis date back to 2006! http://www.astrodispatch.com/ is a collection of constantly updated astrology blogs and articles, so you can expect to see Saturn-Pluto themes discussed here from every perspective, by numerous writers. While this classic book deals with physical death, I think that the stages of grief it describes including denial, anger, depression and eventual acceptance and hope are also relevant to other kinds of loss such as the end of a relationship, the loss of a job etc. 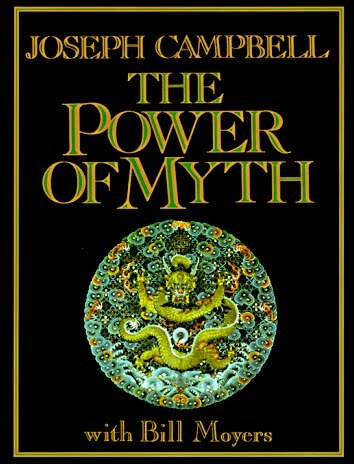 The work of Carl Jung is a good complement to the study of modern psychological astrology and his writings on the Shadow Archetype may be of particular relevance here. Some of you may feel the need to seek professional help during these times. Do not feel hesitant about asking for help if you feel you need it. For counseling/psychotherapy, in the first instance, contact your local professional medical/health practitioner for advice or the relevant professional body for the type of help you need. Some people find that alternative therapies also help them, as well as gentle exercise. A few things that have helped me are Reiki, EFT (emotional freedom technique), yoga, massage, meditation and aromatherapy. The best therapists tend to be those who come by recommendation, so ask around. As always, it is your responsibility to check the credentials and qualifications of your chosen therapist/counselor/practitioner. ...Here, in Part 1 of my Saturn-Pluto blogs, which are designed to inform, educate and help, I discuss some of the themes and processes of Saturn-Pluto. Part 2 will recommend further reading and offer some useful resources and Part 3 will discuss the wider cycles of Saturn-Pluto in terms of world events. Of course, as the Square has been coming up to its exact point we, as individuals and in the world at large, have already been seeing and feeling Saturn-Pluto type themes for some months now and we are certainly seeing evidence everywhere of fear, which is a number one key word for Saturn-Pluto alignments. Fear is a small word, but one that describes a very big and potentially very destructive emotion. If we are feeling fear, we have to question it and work out where it’s coming from before we can decide what to do next. Are we afraid of what ‘might’ happen, a fear of an unknown future? Are our fears based on negative assumptions from what has happened in the past? Does our fear come from the general atmosphere around us, which we are absorbing from other people, from the news etc? Working this out and deciding on a course of action is an individual journey and I can’t give individual guidance in this forum. Please also consider that in this astrologer's opinion the planets do not make things happen, they simply reflect what happens to the world here on Earth and in our individual lives. As above, so below. It is all too easy with Saturn-Pluto transits to fall into a fatalistic mindset, thus denying the opportunity for development and growth. With the idea of development and growth in mind, I offer you a list of words and phrases in relation to Saturn-Pluto, for you to contemplate. The words near the top of the list relate to the difficult processes symbolised by Saturn-Pluto, but as the list goes on the words relate more to results, leaning towards the positive. This is by no means an exhaustive list and by no means will relate to everyone’s experience and is not intended to be in any kind of ‘special’ order…it is merely offered as food for thought and can be read at the metaphorical, emotional, material, psychological, spiritual or any other level you choose. Will Saturn Square Pluto affect you? Your natal horoscope (birth chart) will form a relationship with the Saturn-Pluto square if you have the Sun or Moon or any planets or angles in the first five degrees of the Cardinal signs (Aries, Cancer, Libra and Capricorn). You will have all next year to work on any issues that come up in your life, issues that may reflect the Saturn-Pluto themes and processes described above. The three exact Squares between Saturn and Pluto are 15th November 2009, 31st January 2010 and 21st August 2010. However, please remember that these are long transits which symbolise huge shifts in our individual and collective lives. These processes take time to develop. They are not simply a series of one-day, one-off events. Please also note that Uranus will start to form a T-Square with Saturn and Pluto from around March 2010. For a list of resources that may help you with your Saturn-Pluto transit, click here>. "The way I see it is this, you have to destroy the old to let the new grow again. It's like a forest burns everything in its path, but they were just blocking the sunlight and then when everything grows back again it is bigger and stronger." 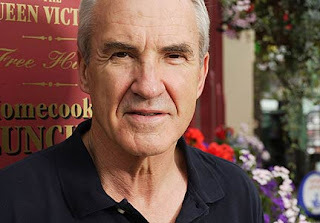 Archie Mitchell, a villainous character from the UK's soap opera, Eastenders, plotting to burn down the Queen Vic pub to get his revenge on estranged wife Peggie and the rest of the Mitchell clan. This little quote sums up so many of the themes of the current Saturn, Uranus and Pluto configurations...albeit the dark side of things! The film 2012 is blanket released around the world on 13th November, just two days before the first exact hit of Saturn Square Pluto. 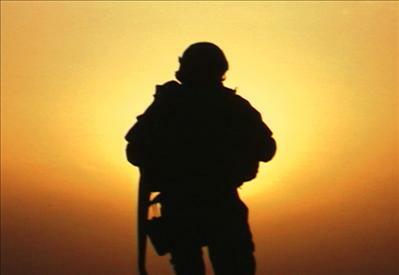 The movie capitalises on the 2012, end of the Mayan calendar prophecies and embodies the Saturn-Pluto themes of fear and paranoia, in this case the fear of apocalypse, the end of the world. Just walking past a newspaper stand this morning I spotted the word courage in a big bold headline across one of tabloids. The headline was a tribute to the courage of the widow of a fallen bomb disposal expert, one of the latest servicemen to lose their lives in the Afghanistan conflict. 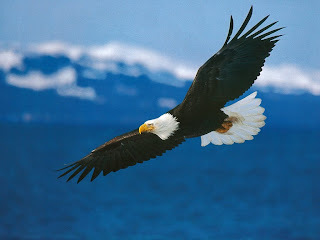 Great strength and courage, even against the odds, is one of the nobler themes of Saturn-Pluto. With any astrological configuration it's a very interesting exercise to look at plots in shows, TV scheduling lists, stuff in the news, newspaper headlines, film release dates etc. etc. to see if you can spot the themes that the current planetary aspects symbolise. Remember, the devil is in the detail. Remember also, we have nothing to fear, but fear itself. As Neptune Stations Direct* this week (the last of the three planets in the Jupiter-Neptune-Chiron conjunction to emerge out of a Retrograde period and start moving forwards again) it’s a good opportunity to review some of the recent events that have fallen under the astrological symbolism of this rare celestial alignment. To recap from one of my previous blogs, hope and idealism are fine keywords for both Jupiter and Neptune and healing is a reliable keyword for Chiron. But we must also remember that with Neptune we are also in the world of scandals and deception, a nebulous place where nothing is ever quite what it seems. At worst, Jupiter exaggerates and spreads the negative effects of Neptune and Chiron, but at best, Jupiter will also boost their most positive expressions. This is the space where Chiron brings healing, Neptune brings compassion, Jupiter brings faith and optimism and where great deeds are possible. As the conjunction is in Aquarius, we must also bring in the themes of equality, community, freedom, humanitarianism, and charity. President Obama’s announcement of his new health care plan divided the nation and raised big (Aquarian) questions, including the moral question of whether everyone has a fundamental right to healthcare regardless of their fiscal circumstances. Critics were angry about the cost of the scheme to American tax payers, fearing it would raise inflation and lead to the financial ruin of a country already over-spending. At the time the plan was announced, Jupiter, Neptune and Chiron were all Retrograde. In Obama’s chart they were transiting his first house, heading backwards towards his Aquarius Ascendant, the Ascendant of course being one of the signifiers for health in the horoscope. It will be interesting to see what happens next, for the debate is sure to fire up again, especially as Jupiter, which has retrograded back to Obama’s 12th house crosses his Ascendant again on the very day Neptune goes Direct! The last time Jupiter, Neptune and Chiron joined in a triple conjunction was in 1945 in Libra, which like Aquarius is a rational, fair-minded air sign. In an article for the Astrological Association Journal, astrologer Phoebe Wyss pointed out that in ’45 a new left wing (Labour) government took power in the UK and established the National Health Service, a service which was and still is, free for everyone, irrespective of income or circumstance. The parallels with what is happening in the US now are obvious. It is therefore very interesting that the detractors of Obama’s plan cited the failures of the UK’s NHS system (high costs, long waiting lists, the rationing of care) as a good reason not to implement Obama’s plan. This criticism prompted a huge outcry in the UK, with ordinary people on blogs and social networking sites collectively launching an unofficial viral We Love the NHS campaign. How very, very Aquarian! It would seem clear to me then, that health and health care issues are a major concern of Jupiter-Neptune-Chiron conjunctions, which brings me to swine flu. The Swine Flu Virus was first identified in April 2009, just as the Jupiter-Neptune-Chiron conjunction was coming into orb. You can read the blog I wrote about it at the time here. However, to recap very briefly, I discussed how Neptune rules viruses and how I felt that the whole thing, reported as if it was some kind of apocalyptic event, was being blown out of proportion, a clear case of Jupiter blowing up the Neptune effect (with all respect of course due to all those individuals and their families who have suffered). The way the news story spread also seemed viral and so did all the conspiracy theories that quickly emerged. Google Swine Flu Conspiracy and you will get over a million and a half results, with various ideas about the virus being deliberately developed for some darker purpose, about the vaccine being purposely formulated to kill more than it cures etc. etc. Wow, we really are in Neptune’s murky realms here, if so many people really do believe that the whole swine flu phenomenon is something other than it seems. Interestingly, a 'new wave' of swine flu was announced in the news just as Jupiter went Direct and Chiron was about to go Direct. I wonder what will happen with swine flu when Neptune also goes direct. Perhaps it will make a big comeback, but let’s hope not. With Neptune we are in also the realm of scandals. Of course there are scandals involving our celebrity idols in the news every day, but a political scandal is something else entirely. A change in UK law means that details of expenses claimed by elected Members of Parliament have to be made public, with the exception of some ‘sensitive’ information that could be withheld. However, in May, The Daily Telegraph newspaper got hold of a leaked full copy of the expenses records and published those parts which implicated MPs who they felt had grossly misused the expenses system for their own personal gain. The media had a field day and the public were outraged. Many MPs resigned, were sacked or were deselected and many more were asked to pay back the expenses they had erroneously received. A reform of the expenses system is in hand and the whole affair has led to calls for wider political reform (Aquarius). As mentioned, scandals are Neptune’s territory, Jupiter here perhaps represents the big bubble of wealth opportunity which burst for MPs when the scandal broke and Chiron perhaps symbolises the wounded system which can only be healed by itself from the inside. In the UK 1801 chart the triple conjunction opposes the UK’s Saturn in Leo, signifying the new fiscal controls and limits on expenses that are being drawn up, adding up to new limitations on greed and a fairer system that MPs will be forced to accept. After all, it is the common British taxpayer that ultimately has to foot the bill for its so-called public servants. While the review into the scandal was taking place the media fell quiet, but on the day Jupiter went Direct the story hit the headlines again, so again, it will be interesting to see what happens when Neptune goes direct. There are of course many more stories, ones which embody the higher symbolism of the conjunction. Obama’s Nobel Peace Prize, for example, awarded as Jupiter was on his natal Ascendant, for "his extraordinary efforts to strengthen international diplomacy and co-operation between peoples”, wonderful Aquarian values. Then there was Bill Clinton’s diplomatic mission to rescue (Neptune) the journalists from North Korea, just as the triple conjunction opposed his natal Sun. It is also worth mentioning Help for Heroes, a charity which has quickly become one of the most high profile charities in the UK, set up to help heal and rehabilitate wounded service men and women. In October this year, Phil Packer, who was paralysed in Iraq, won an award for raising £1.2million for the charity. This was despite severe spinal injuries and fears that he would never walk again. Well, walk he did, finishing the 26 mile London Marathon in 14 days. He also climbed a 3000ft mountain and rowed the English Channel! I don’t have birth data for him, but surely here is an example of Jupiter-Neptune-Chiron at its very best and also at its most literal. As Neptune goes Direct this week, we might find that some of these stories and others stories which have reflected the Jupiter-Neptune-Chiron themes will hit the news again in the next couple of months. Whether we will get more clarity and resolution on these issues or simply more Neptunian confusion, remains to be seen. We all accept that the planets revolve around the Sun in continuous forward motion. However, astrology views the planets from our place here on planet Earth. 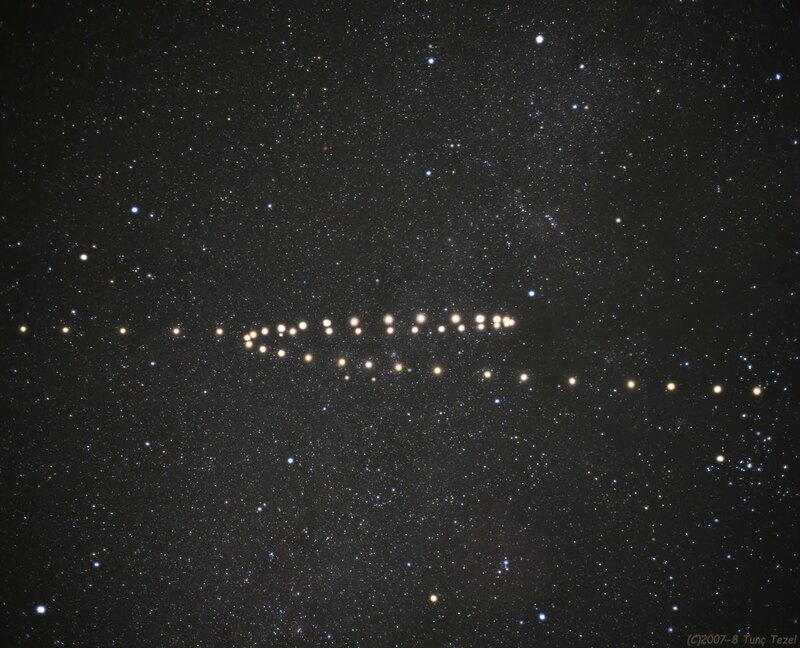 From this perspective, it appears as if the planets sometimes slow down and stop, which is known as Station Retrograde. Then, the planet appears to move backwards for a while, known as Retrograde, through some of the zodiac degrees it has already moved through. 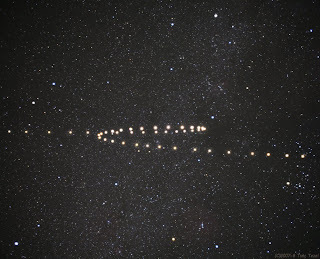 Then, after a while of doing this, the backwards planet slows down and stops again, Stations Direct, after which it moves forwards again, Direct, and gains momentum. When a planet is Retrograde, it is said that the energies and urges the planet represents go inwards, slow down, come up for review, that old ground has to be re-covered and that unnecessary action should be delayed until the Retrograde period is over. The best known Retrograde is that of Mercury, but all the other planets, with the exception of the Sun and Moon, also have Retrograde periods. Full Moons are times when the Moon is fully visible. Full Moons shed light, expose and uncover important issues. Under the Full Moon we can’t hide from these issues, they come to a head. Today’s Full Moon chart contains a configuration involving all the fixed signs. The Sun in Scorpio opposing the Moon in Taurus, squares Mars in Leo and widely squares Jupiter in Aquarius, putting the issues of fixity firmly in the spotlight. The fixed signs uphold and maintain, organise and keep things on track. The problem with the fixed signs is a problem of attachment, manifesting as stubborn resistance to change. Ultimately, the fixed signs teach us how to release our attachments, a hard lesson taught through the painful experience of resisting the letting go process. Facing and dealing with our resistance to change, on the individual and the collective level, is therefore the message of this powerful Full Moon. To expand the message, to find context and to feel our way forward, we must look to the longer astrological measurements which are currently shaping our personal lives and our wider world. First, we have the ongoing Saturn-Uranus oppositions, of which we have just passed the half way point. Saturn and Uranus’ ultimate battle is between old worn out systems and methods and new ways which fly in the face of the way it’s been done in the past. If we are too fixed, over-attached and fearful of these inevitable changes, then our resistance, the very thing that we employ to protect ourselves, simply adds to the growing pains of our adjustment to change, causing considerable additional tension and suffering. This all sounds very grim and difficult, so how can we help ourselves and each other through the undoubtedly difficult times we are going through individually and collectively? How do we embrace change, even difficult, seemingly negative change, with minimum pain, loss and suffering? The bad news is that we can’t avoid change and we can’t wave a magic wand and make all the pain go away, but we can honour the process, by allowing ourselves the time to mourn properly for what we are being forced to release and let go of, be it material, emotional or spiritual. How do we facilitate this healing and mourning period? Well that is an individual journey. For some, healing is found through their faith or spiritual beliefs, others may seek counselling or psychotherapy, others might find healing through their friendship networks or their families, or through helping others. However, if we look to the ongoing Jupiter-Neptune-Chiron conjunction, we can identify some themes that can help and comfort us. Jupiter-Neptune-Chiron is about idealism, hope and healing. The conjunction is in Aquarius, a fixed sign, reminding us that part of our process involves learning to let go. This can mean learning to healthily let go of lost dreams that our changed circumstances no longer allow. It can mean learning to deal with disappointment in a constructive way and counting our blessings. It can mean letting go of unhelpful over-idealism which gets it the way of seeing things as they are and inhibits our ability to deal with our situation realistically. It also means that we should have faith in the healing process and hope that we can move on to build new structures in our lives with positivity, grace, realism and dash of healthy resignation. And here we found ourselves in the space of Saturn in Libra, a space where we can learn to accept our limitations, make healthy compromises, act in a spirit of true co-operation and strive towards creating new balance in our lives and the lives of others. Please remember that even though it might feel like our own small worlds or even the world at large is playing the end game, this is your fear of change and your fear of the future talking. Fear destroys, inhibits and obstructs growth. This is the grave danger of Saturn in Libra’s square with Pluto in Capricorn. However, Saturn and Pluto are in the early degrees of cardinal signs which symbolises not so much the end of a season/world, but the start of a new one, a seeding time. Now is the time to focus on new beginnings and start building our new future. 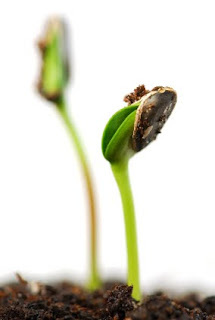 Like a seed, we must germinate in the dark and push our way upwards through the heavy dark density of the soil. The positive message of today’s fixed Full Moon is the realisation that, like the seed, we have inside us the strength, resources and determination to do this. Like a seed we must learn not to be afraid of the dark, for if we are growing in the right direction and we plant in fertile soil, we will not have far to travel before we break through into the light. In our darkest hour on our journey towards the light we can call upon the symbolism of Jupiter-Neptune-Chiron in Aquarius and Saturn in Libra to remind us that we are all in this together, that we needn’t be alone in our fear. Wishing you safe travels and positive growth. Happy November everyone & I hope you all enjoyed Samhain / All Saint's Day / Halloween. October was marked, astrologically speaking, by the ingress of Mars into a long transit of Leo. Jupiter went Direct mid-month after travelling backwards through Aquarius since June and Chiron has just gone Direct. Neptune, who has been Jupiter and Chiron's travelling partner these last few months, also goes Direct on 5th November, in time for Guy Fawke's. A review of the Jupiter-Neptune-Chiron conjunction coming soon. The big news though was Saturn's ingress into Libra on 29th October and the hot topic for November will be Saturn's square with Pluto in Capricorn mid month, the first of three exact squares over the next ten months. Moving Saturn-Pluto contacts tend to signify huge shifts in the infrastructure of the collective world and our experience of it. These squares also fall against the backdrop of the long running series of Saturn-Uranus oppositions (disruption of the status quo / old vs. new). A huge topic, much more on this to come. For now though, we have a Sun in Scorpio, giving us a Taurus Full Moon on the 2nd November and a Scorpio New Moon on the 16th. Notes on these lunations to follow.....plus a piece on adventurous Sagittarius, the Sun's host from the 22nd. Here's a link to November’s Moon sign changes and Moon of Void of Course times a very useful tool for assessing each day’s subtle energies.